Bay Area Storytelling Festival: The west coast’s oldest storytelling festival (since 1982!) has a new location – the Orinda Community Center- and a new date – April 24,25, 26, 2015! Featured tellers include Tim Tingle, an Oklahoma Choctaw teller and author of several children’s books, including Crossing Bok Chitto and When Turtle Grew Feathers, Dublin-born Clare Murphy, Nashville singer/songwriter Kate Campbell, and special guest Hawaiian performance poet Kealoha, founder of Youth Speaks Hawaii. Woven in with the storytelling concerts, (including one for kids on Sunday), are workshops, music, storyswaps, and the chance to win a handmade quilt and other prizes in a grand raffle. The Orinda Community Center is easily walkable from BART, and located just off Highway 24. You may come for one program, several, or the whole weekend! 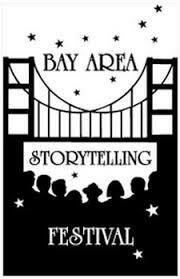 The Bay Area Storytelling Festival is a project of the Storytelling Association of Alta California and complete information is available at their website: www.bayareastorytelling.org. ALL DUE RESPECT. A Dialoge about Diversity, Equity, and Creating Safe Spaces for all Youth. With Keynote Speaker: Jacqueline Woodson, winner of the National Book Award, Coretta Scott King Award, Newbery Honor, and Sibert Honor for her memoir Brown Girl Dreaming, among numerous other awards and honors for her many beautiful and profound contributions to literature for young people. And Featured Speaker: Maya Gonzalez, award-winning author and artist of books for young people, co-founder of Kid Lit Equality, and all-around activist for the right of all of young people to be celebrated and accepted for exactly who they are. And numerous other important voices from the front lines of children’s literature and youth librarianship. We look forward to an interactive day of discussion, information, and hands-on activities, and we want attendees to leave with some concrete ideas about how to put their thoughts into action. People can register online or via mail and we expect space to sell out, so please register early! Go to our website, bayviews.org, for more information and to register.